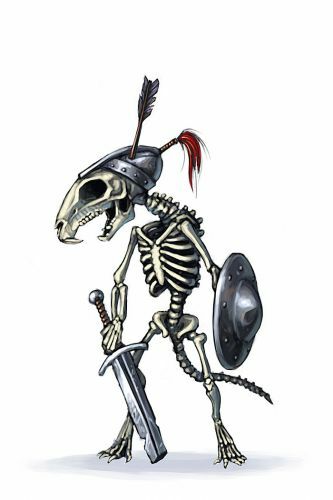 The Skeleton Mouse is a breed of mouse found in the Catacombs. It is not known to drop any loot. Radioactive Blue cheese Charm: ?? Pairing a fierce temper with an empty skull results in a mouse that will relentlessly attack traps. These dim-witted, yet capable soldiers are often used by their superiors as fodder during large scale attacks. The Skeleton Mouse has been found to be especially attracted to both Ancient and Radioactive Blue cheeses. Arcane traps are very effective against the Skeleton Mouse. Forgotten and Shadow traps are of normal effectiveness. The Antiskele Charm can be used to repel the Skeleton Mouse from your trap. 6 March 2009: The Skeleton Mouse was released. 23 April 2009: Before this date, the Skeleton Mouse was worth a maximum 5,980 points and a minimum 2,866 gold. This page was last edited on 18 January 2016, at 02:26.